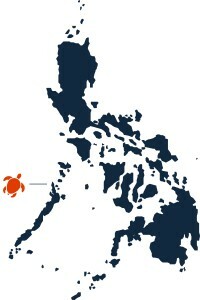 In the north of Palawan there are still beaches where sea turtles go to make their nests, one of them is Duli Beach. “Duli” means female turtle in the Sanskrit language. 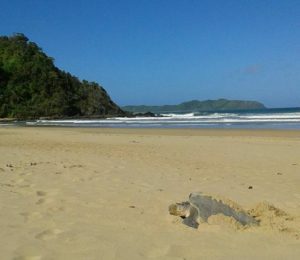 So a perfect name for the place, from November until February Duli Beach is a nesting ground for sea turtles. 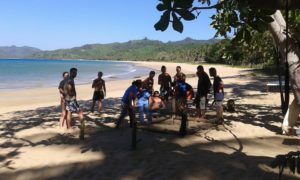 There are two different species nesting on Duli Beach, namely the Hawksbill sea turtle (named for their narrow, pointed beak) and the Green sea turtle (named for the usually green fat found beneath its carapace). Both species migrate long distances between feeding grounds and hatching beaches. Mature turtles always return to the exact beach from which they hatched. Females crawl out on beaches, dig nests and lay eggs mostly during the night. 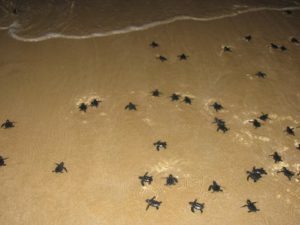 At around 60 days, the eggs hatch, again mostly during the night, and the hatchlings instinctively head directly towards the water. At the resort we do everything in our power to protect the nests from poachers and animals. Have a look on our Facebook page for the latest pictures.